A state of emergency has been declared in New York, New Jersey, Connecticut, Rhode Island, Massachusetts and New Hampshire as over 50 million Americans from Philadelphia to Boston brace for a potentially historic winter storm that could leave up to three feet of snow in its wake. 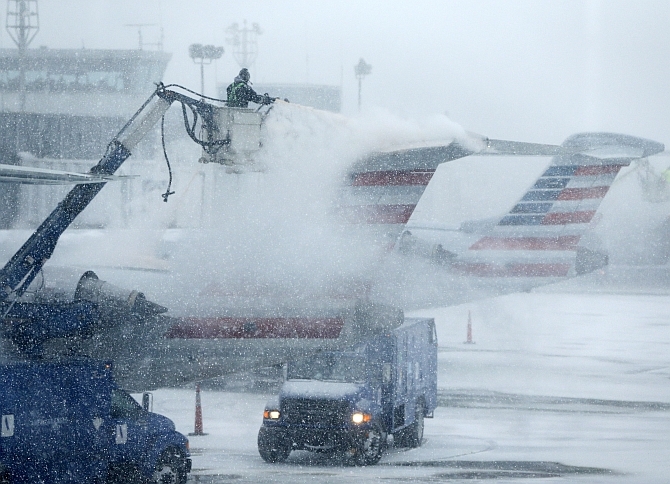 The potentially historic storm which could affect 20 percent of the US population, forcing the cancellation of thousands of flights and closing of major mass transit hubs and schools. The highest snowfall amounts are currently expected between just east of New York City and Boston. New York Governor Andrew Cuomo issued a travel ban for in 13 counties, including New York City and Long Island, beginning at 11 pm. 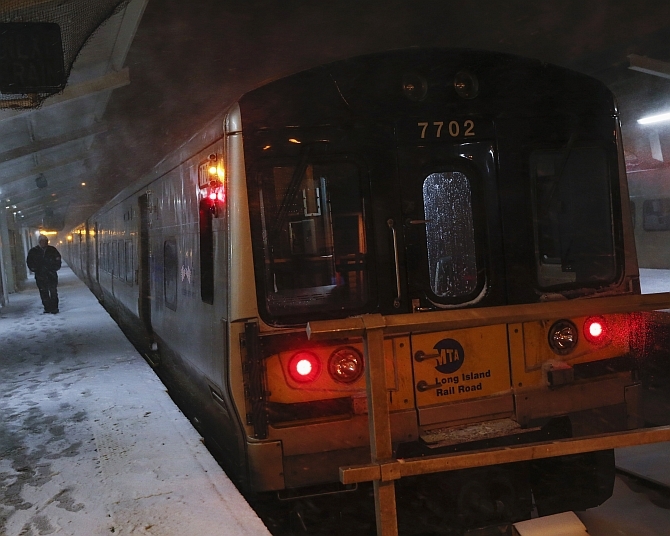 "This is a serious situation," Cuomo said. "If you violate this state order, it's a possible misdemeanor. It's fines up to $300." 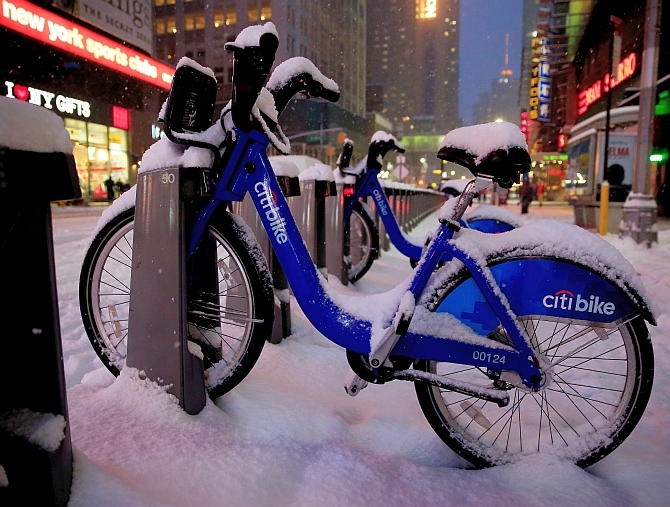 New York Mayor Bill de Blasio told residents not to underestimate the storm. "Prepare for something worse than we have seen before. Prepare to be safe. Take every precaution," he said. "Now is the time to get ready for this extreme weather." 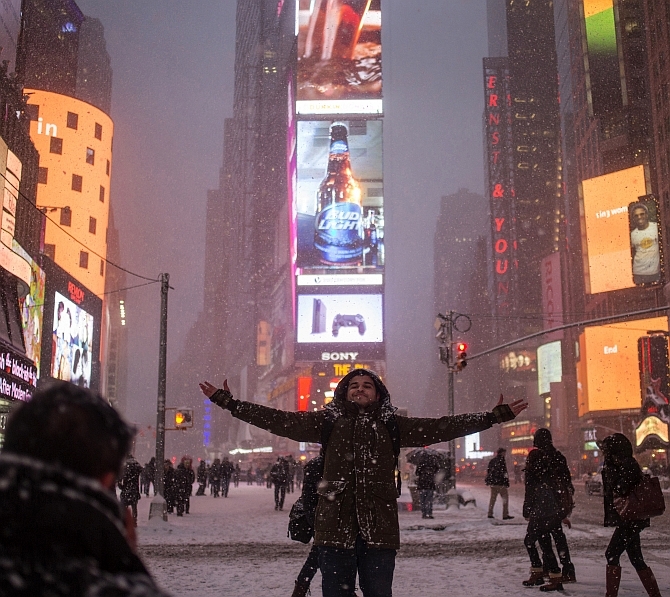 Ahead of the winter storm, New York City residents raced to stock up on food essentials. Meteorologists have warned there may be a combination of thunder and lightening combined with the snow -- so-called thundersnow -- had the potential to create a huge dump. Reports say that in New York City, the biggest storm since records began in 1869, took place in February 2006 when 26.9 inches fell. The upper estimates for the amount of snow Juno could produce suggest the record could be broken. 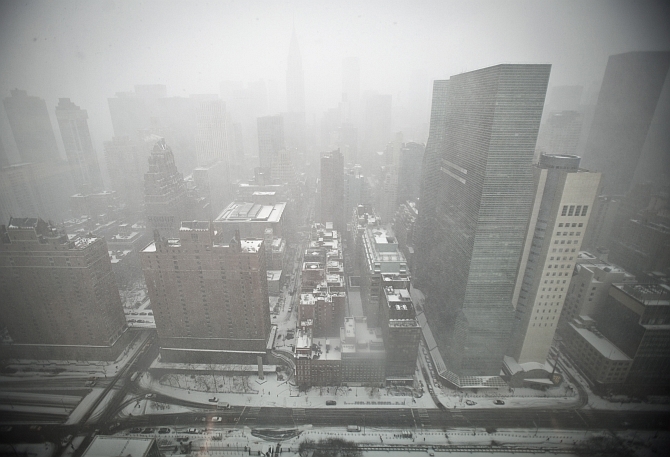 New York could also see winds of up to 50 mph, creating drifts. The blizzard knocked out entertainment events including Monday night Broadway performances and home games for the New York Knicks and Brooklyn Nets and shut New York City's zoos, where snow leopards, puffins and polar bears frolicked in privacy. The United Nations headquarters gave itself a day off on Tuesday. 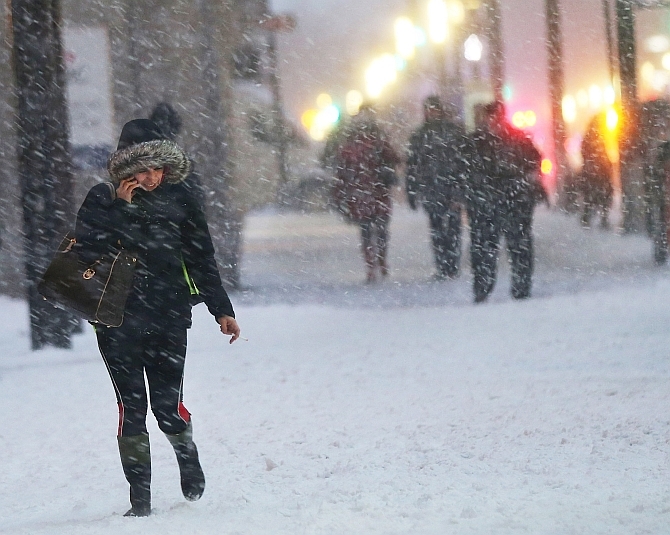 East Coast schools, including New York City with the nation`s largest public school system serving 1 million students, and universities, including Harvard and the Massachusetts Institute of Technology, cancelled classes for Tuesday.